Professional Memberships — Click here to review the types and costs of memberships: Membership Types and find out more about membership benefits: Professional Membership Benefits. Professional memberships are paid on a monthly basis. Students and supporting members, see below. Professional members please submit a copy of ND license and diploma (new graduates have 1 year to submit). 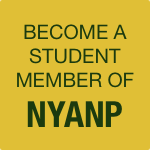 NYANP membership for students at a CNME accredited naturopathic medical school. Student memberships are only $25.00. 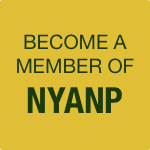 NYANP membership for people who support the mission of the NYANP. Please note: You will be directed to PayPal for payment where you can choose to pay using either a Credit Card or your PayPal account. Up at the top right of the PayPal checkout page is the notice: CHOOSE A WAY TO PAY. Underneath it is: Pay with my PayPal account (where you log in to your account to complete the purchase) or down below the login form is the question: Don’t have a PayPal account? Click on this option on their website if you’d like to pay by credit card. We are instituting a new policy to make it much easier for our clients. Purchasing professional memberships is now done through a recurring payment billing system using PayPal (students and supporting members are exempt). To provide you with a continuing membership, the NYANP and PayPal automatically renews all memberships upon expiration. By purchasing a membership, you acknowledge you will be subject to automatic renewals. In all cases, if you do not wish to have your membership be automatically renewed or if you wish to cancel your membership, please contact us at assistant@nyanp.org.